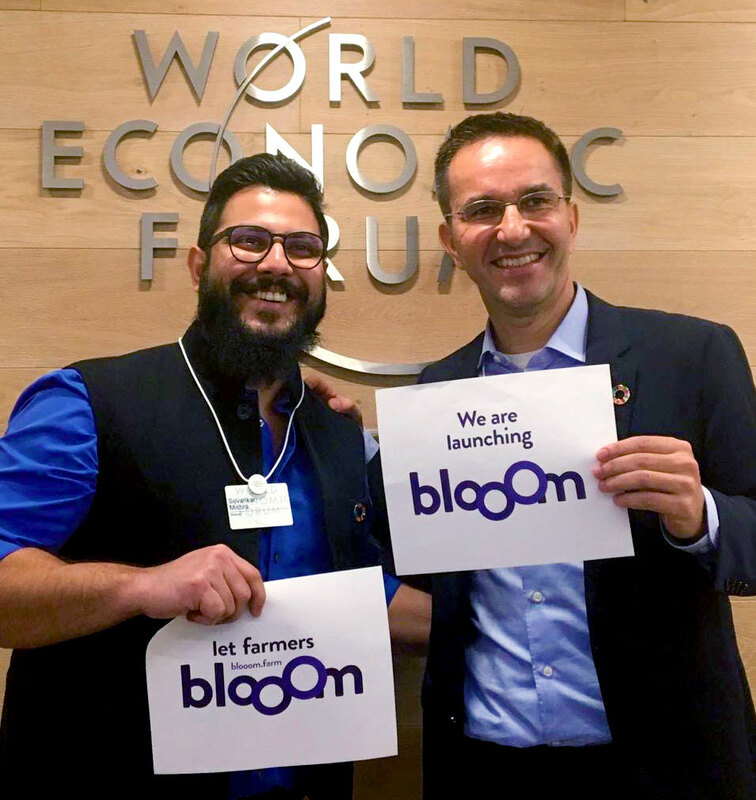 Leading agricultural social entrepreneurs Patrick Struebi, and Krishna Mishra, launched Blooom last week at the World Economic Forum’s Sustainable Development Impact Summit in New York to tackle the twin challenges of global food security and smallholder farmer poverty with a platform technology and grassroots know-how. Combining development expertise with the latest technology, Blooom “democratizes the future of farming” by connecting smallholder farmers to cutting-edge information, finance and markets. Using a smart farming algorithm, Blooom’s app enables smallholders to perform precision agriculture on the smallest plot of land—anywhere in the world—lifting livelihoods and increasing food security. “We have come together to scale up and impact millions of farmers across the globe in a lean, smart way,” said co-founder Krishna Mishra, founder of eKutir, and co-president of Blooom. Krishna credits Ashoka for enabling the partnership: “Ashoka is like family to me. When I became an Ashoka Fellow in 2012, my objective was to tap into the Ashoka network – we must co-create and innovate if we’re going to spread solutions and impact the most people.” Ashoka Fellow Daniel Ross is also on board and Patrick and Krishna will be reaching out further across the Ashoka network for more collaborations. See blooom.farm for more information. Read Patrick’s World Economic Forum blog post: "This is how smallholders can secure our food's future - and their own." Suvankar Mishra (left), son of co-founder Krishna Mishra, and Patrick Struebi launch Blooom at the World Economic Forum's Sustainable Development Impact Summit.